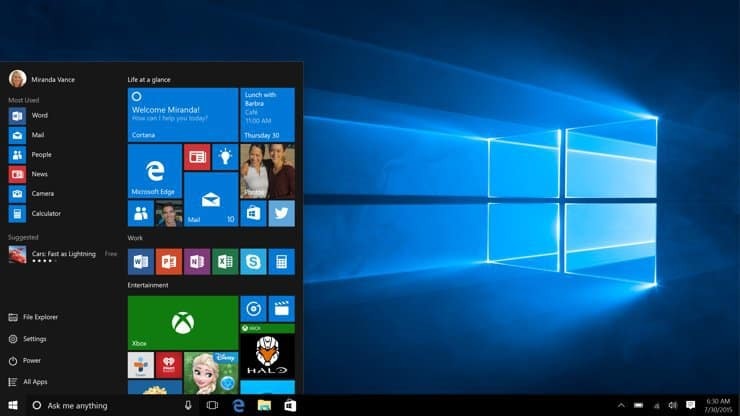 With Windows 10 we got all sorts of new features and settings, but there are certain issues sometimes. According to some users, they get Some settings are managed by your organization message when they are trying to change their settings, but there are few solutions available that can help you to resolve this problem. Some settings are managed by your organization lock screen Windows 10 – This message can appear while you’re on the lock screen. To fix this problem, be sure to try some of our solutions. 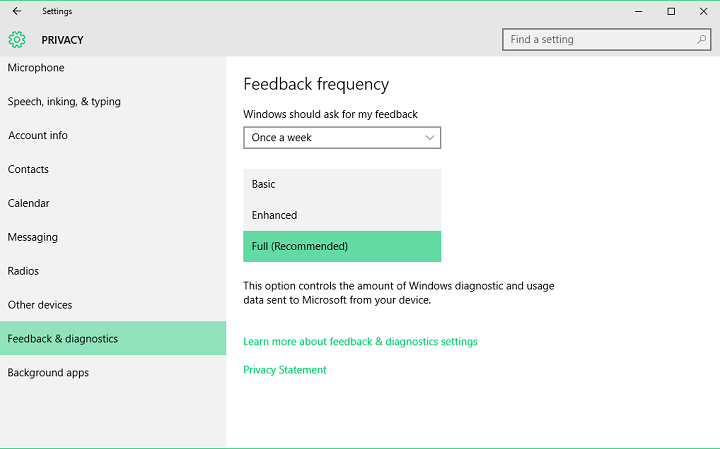 Some settings are hidden or managed by your organization Windows Update – Several users reported this message while trying to use Windows Update. To fix the problem, try modifying your registry and check if that helps. 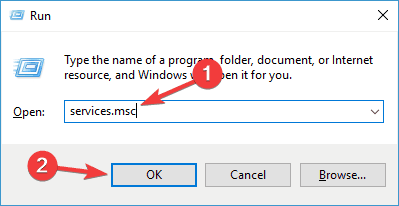 Some settings are managed by your organization Windows Defender – Sometimes this issue can appear while using Windows Defender. To fix the problem, you might want to try installing a third-party antivirus. Some settings are managed by your organization fingerprint, Windows Hello – This message can also appear while trying to add your fingerprint or when using Windows Hello. To fix that problem, you might have to change your group policy. Some settings are managed by your organization time – Several users reported this message while trying to adjust the time or date. In most cases, this message is harmless and you can ignore it. Some settings are managed by your system administrator – This is a variation of this message, and if you encounter it, try changing your settings using the administrator account. This solution is pretty simple, you just need to change one setting. On the menu on the left choose Feedback and Diagnostics. Find diagnostic and usage data and change it from Basic to Enhanced or Full. We have to mention that this option regulates how much of your personal data is being sent to Microsoft for analysis. If you’re not compatible with sharing too much of your personal data for analysis and bug fixing you should probably stick to Enhanced option. Although this solution is pretty straightforward it doesn’t always work, but luckily we have one more solution for you. 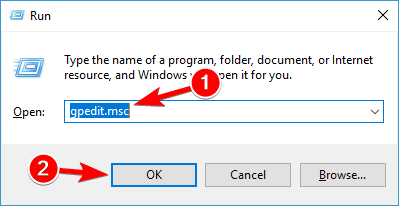 Open Group Policy Editor by pressing Windows Key + R and typing gpedit.msc. 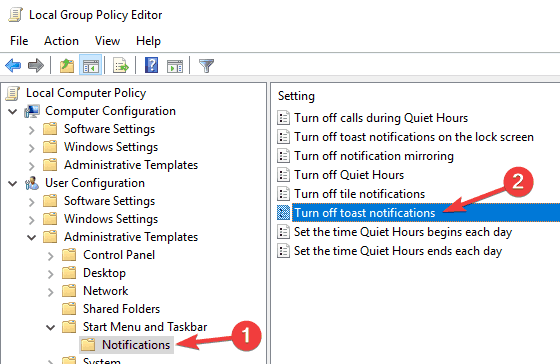 On the left side of the window find Turn off toast notifications setting and double click it. Try enabling it and disabling it couple of times, but remember to keep it disabled before you save your settings. Several users reported Some settings are managed by your organization message due to problems with their hard drive. According to users, the issue started occurring because the drive was designed only for data storage. If you have this problem, you might want to replace your hard drive and check if that solves the issue. In addition, it’s also advised to check the health of your hard drive. There are many great tools that can help you with that, but the best is Iolo System Mechanic Pro, so be sure to try it out. Keep in mind that your hard drive is an unlikely cause, but few users reported that their hard drive caused this message, so you might want to inspect your hard drive. According to users, Some settings are managed by your organization message can appear due to your registry. Certain registry values can interfere with your operating system and cause this and other errors to appear. To fix the problem, you’ll need to manually modify your registry. Press Windows Key + R and enter regedit. Now press Enter or click OK. Registry Editor will now start. Click on File > Export. Now select All as Export range and enter the desired name. Choose a save location and click the Save button. Once you do that, you’ll create a backup of your registry. You can use this file at any time in order to restore your registry to its original state if anything goes wrong. In the left pane, navigate to the HKEY_LOCAL_MACHINE\SOFTWARE\Policies\Microsoft\Windows\WindowsUpdate key. In the right pane, look for Wuserver. 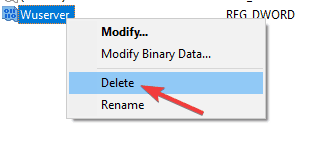 Right-click Wuserver and choose Delete from the menu. A confirmation dialog will now appear. Click Yes to remove this entry. After making changes to the registry, the issue should be resolved. If you can’t find the key from Step 3 or the Wuserver DWORD, this solution won’t apply to you so you can skip it. According to users, sometimes Some settings are managed by your organization message can appear due to problems with your antivirus. Many antivirus tools can interfere with your system and cause this message to appear. To fix the problem, it’s advised to check your antivirus configuration and disable features that might interfere with Windows. If that doesn’t help, you can also try disabling your antivirus completely. Even if you disable your antivirus, Windows Defender will start automatically and keep your PC safe from online threats. If disabling the antivirus doesn’t help, you might have to uninstall it. The best way to do that is to use a dedicated removal tool from the antivirus manufacturer. Many antivirus companies offer dedicated removal tools for their software, so be sure to use one to remove your antivirus. If removing the antivirus solves the issue, you should consider switching to a different security software. There are many great antivirus tools on the market, but currently, the best are Bitdefender, BullGuard, and Panda Antivirus, so be sure to try any of these tools. Open Registry Editor and create a backup of your registry. We showed you in detail how to do that in Solution 4. 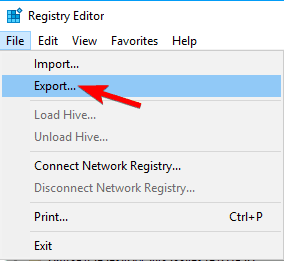 When Registry Editor opens, in the left pane navigate to Computer\HKEY_LOCAL_MACHINE\SOFTWARE\Policies\Microsoft\Windows\DataCollection in the left pane. In the right pane, locate AllowTelemetry DWORD and set it to 1. If this DWORD isn’t available, you’ll have to create it manually and change its Value data to 1. 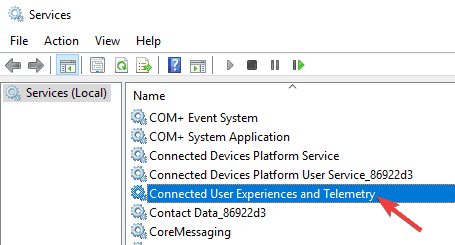 When Services window opens, double click on Connected User Experiences and Telemetry. Set the Startup type to Automatic and click on Apply and OK to save changes. 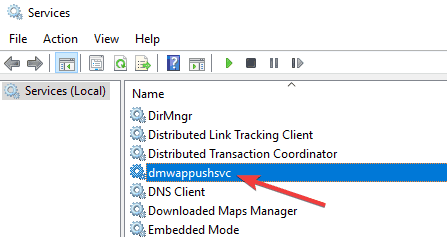 Now locate dmwappushsvc and double-click it. 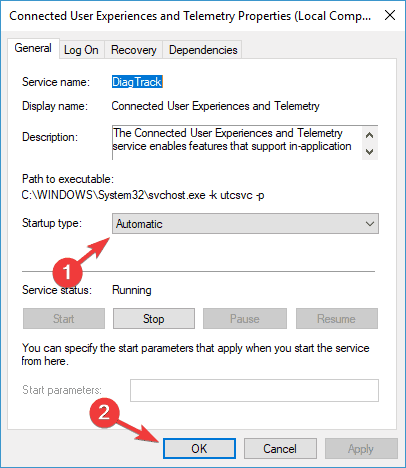 Set the Startup Type to Automatic and make sure that the service is running. After doing that, check if the problem is resolved. Press Windows Key + S and enter task scheduler. 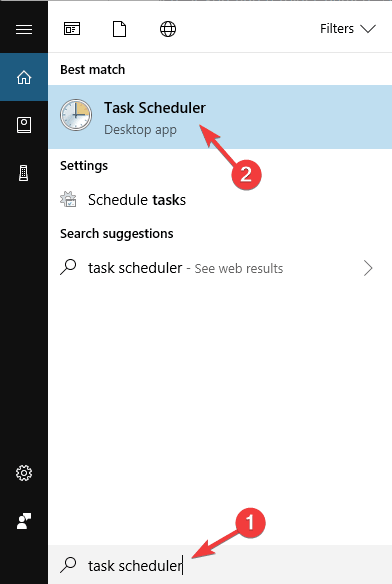 Select Task Scheduler from the list of results. When Task Scheduler starts, in the left pane, expand Safer-Networking directory and select Spybot Anti-Beacon. In the right pane, select the available task, right-click it and choose Delete. Lastly, you need to modify your host’s file. 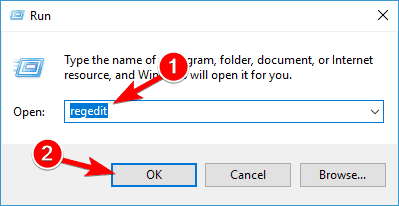 Keep in mind that hosts file is locked for editing, and in order to edit it, we recommend to check our article on how to edit the host’s file. 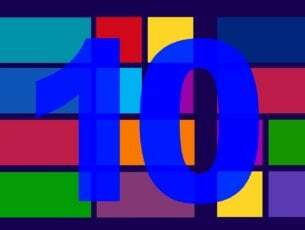 After opening the hosts’ file, you need to delete all values between # Start of entries inserted by Spybot Anti-Beacon for Windows 10 and # End of entries inserted by Spybot Anti-Beacon for Windows 10. After making these changes, restart your PC and check if the problem is resolved. Keep in mind that this solution works only if you have Safer-Networking and Spybot Anti-Beacon directories in Task Scheduler. As you can see Some settings are managed by your organization message can be annoying a bit, but you can easily solve it by following the instructions above. Users have reported that both solutions are helpful although the first solutions don’t work for all users. If the first solution isn’t working for you the second one will probably fix it. Editor’s Note: This post was originally published in September 2015 and has been completely revamped and updated for freshness, accuracy, and comprehensiveness.